Video is a great way to inject a dose of creativity into your B2B campaigns, while also enhancing online engagement. A Forbes study conducted last year revealed that viewers retain 95% of a message when they watch it in a video compared to 10% when reading it in a text – proving videos generate greater engagement than any other form content. Yet, video as a communication channel can also be costly and time consuming if it's not done right. So where should you start and how do you know what style or format best aligns with your business strategy and look? Our video partner, Bouche media gave us the download on video trends set to shape 2019 to help you stay a cut above the rest. Using high quality stock footage can help you achieve a flawless and expensive effect while sticking to a small to medium budget. By carefully selecting ready to go stock footage and over-laying it with your own branding or product demo you can really bring the video to life. Be versatile and reuse new and existing content. Though not a necessarily a new trend but the ways in which we can repurpose it is always evolving. For example, film one interview and produce three separate pieces of content. Squared video format: edit the footage into a short interview style video, achieving both a visual and audio experience and is great to share on social. Gifs: compress a more in-depth interview into a bitesize visual. Perfect for sharing across social channels and help enforce a key message in a very digestible format. While we’re on the topic of gifs, we have seen them take off in a big way in 2018. They are so easily shared and digested by audiences we expect to see them being used more globally and not just to compress key highlights or captions from a wider interview. Get ahead of this trend and use gifs to demonstrate the key findings of a survey for example. Companies are also exploring how they can be leveraged to help efficiency in customer service practices – e.g. using them as step by step guides in response to some of the most popular FAQs via their own apps. A surprising contender for popular trends in 2018 is event films. 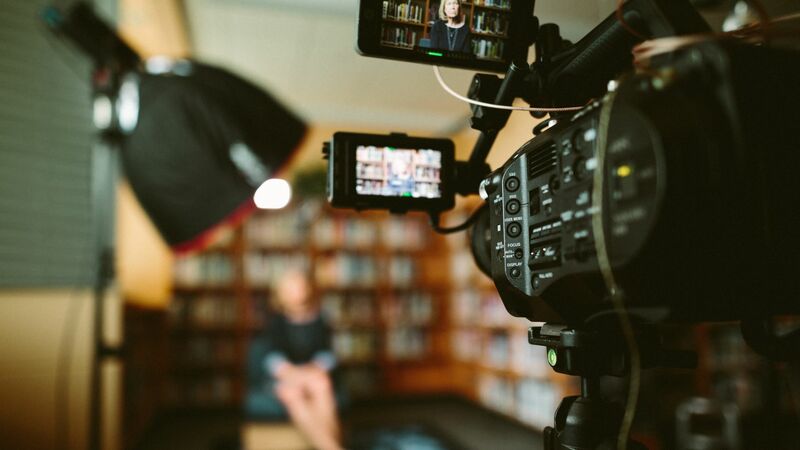 Having died off over the past few years, filming conducted at industry conferences and wider events saw a spike in popularity in 2018. On-site filming can be a great way to position your strategic messages while piggy backing off the natural buzz and atmosphere from a wider event. 2019 will show whether the rise in popularity was a fluke or something we’ll be seeing more of. No matter your budget you can always afford creativity. Taking a new approach and giving your campaign an injection of creativity can pay off. It can increase engagement with your target audience and make a lasting impression. Want to discuss how Cognito can help you come up with an awesome video campaign? Get in touch. By Georgie Gold, Account Manager in Cognito's London office.